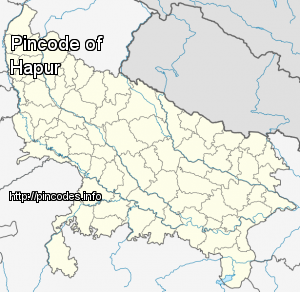 Hapur (known earlier as Haripur) is a city in, as well as the headquarters of, Hapur district, in western Uttar Pradesh, India. 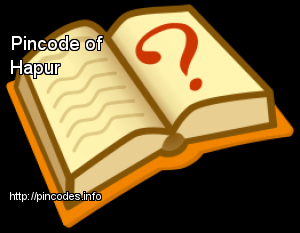 Located about 60 kilometres (37�mi) east of New Delhi, the city is part of the Delhi National Capital Region (NCR). National Highway 24, connecting Delhi-Lucknow, passes through the city. Hapur is known as a manufacturing center for stainless steel pipes, sewing machines, and wood and paper products. In the 2014 election, Bharatiya Janata Party's (BJP) Vijay Kumar Singh secured a massive win with a margin of 567260 votes. At the second spot was Congress candidate Raj Babbar who bagged 1,91,222 votes. Union Minister VK Singh won the 2014 Lok Sabha polls from Ghaziabad with a record margin.